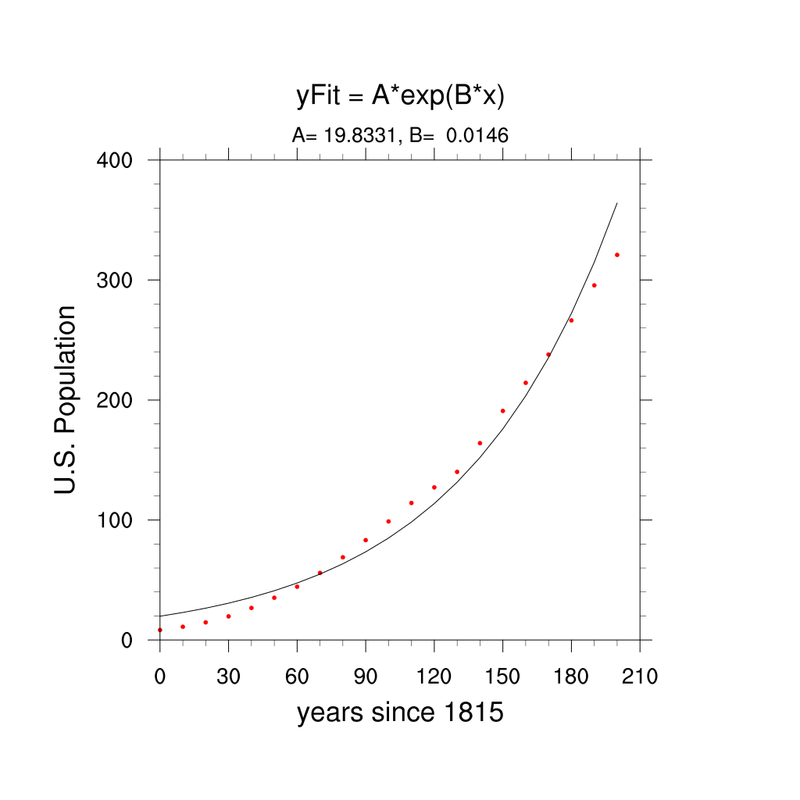 Calculates the coefficients for a simple exponential curve fit of the form ' y = A*exp(B*x)' using least squares. Currently, this argument is ignored. Set to 0. Currently, this argument is ignored. Set to False. The return s a one-dimensional array of size 2. It will type double if x or y are double, and float otherwise. This MathWorld--A Wolfram Web Resource also provides least squares descriptions for fitting logarithmic and power-law curves. Example 1: The plot created by the following code is available here. pltType@wkWidth  = 800      ; Set the pixel size of PNG/X11 image.